This is useful for making suspensions and emulsion etc. 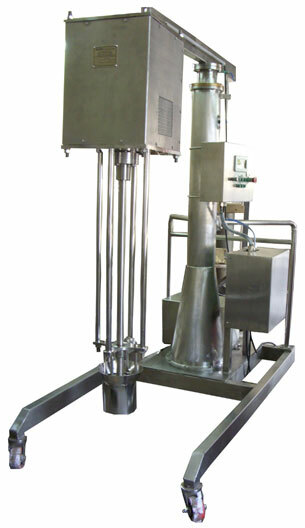 The homogenizing head consists of stator and rotor arrangement made out of S.S. 316 quality. The stator is steel supporting rods and the rotor is driven by suitable motor. 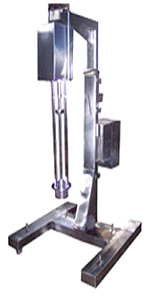 Telescopic stand for above homogenizer is made out of S.S. channel. Worm and worm wheel to lift by handle. Stands claded by S.S. 304 sheet.